Oh joy, that most boring of subjects for a freelance copywriter: copyright. Isn’t that for lawyers? As a freelance copywriter, I’m the creative one. I don’t have to worry about copyright, do I? Hiding behind an alias on the Internet as a freelance copywriter (even if your just doing a bit of off-page SEO copywriting for link building articles) will not protect you against the laws of copyright. 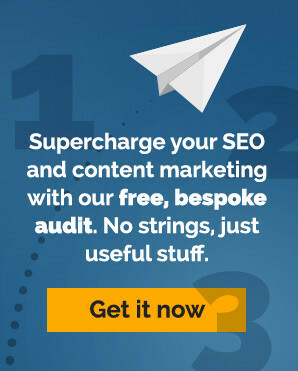 As computer software becomes more sophisticated you run a far greater risk of getting caught if you quietly do a bit of cut and pasting and passing off ‘ripped text’ as your own, fragrantly-original, poetic words, especially if you’re a SEO copywriter. Here’s why. Frank Bloggs decides to write a nice piece about (pick a topic here). He writes it in his blog, which appears in the listings if a certain keyword is entered into the search. Next day the client you wrote your ‘original’ piece for is in negotiations with Frank Bloggs and his lawyers, frantically trying to ward off a copyright claim. Your client points the finger squarely at you, the freelance copywriter, as the originator of the piece and suddenly the laser-glare of the lawyers is focused on you. The electronic trail leads directly back to you as the copywriter. It’s a fair cop, guv’nor. Added to this completely avoidable problem for your average plagiarist is the development of freeware that can actively check copy for blatant copyright infringements using a database of millions of accessible web pages. So if you are going to write web content, as with any other form of copywriting, keep it original. Copyright laws aren’t just for lawyers. They need to be taken seriously by anyone who puts work into the public domain, particularly with commercial copywriting services in the UK. One plagiarised piece could set off a chain reaction, with reputations (yours, your client’s and the copywriting company you work for) tumbling like dominoes.